“The hardest part is stepping off the edge,” my canopy-tour guide said encouragingly. Dubiously, I peered over the 40-foot drop. After a couple of deep breaths I took that step and I was flying through the air, held securely in place by my harness. Both youngsters and adults can line up for a ride on one of the nine zip lines at Finca Filadelfia, located just outside La Antigua Guatemala. Reassured by the double safety line and my friendly guides Marisou and Eric, I too relaxed and enjoyed the breathtaking ride and views. My first impression of Finca Filadelfia was the complimentary shuttle that picked me up in Antigua. Not only was it on time, the fun-to-ride, open-air shuttle truck was equipped with working seatbelts and a guide. I noticed and appreciated the small but meaningful attention to detail that set the tone for the rest of my visit. Soon to be renamed the Filadelfia Coffee Resort, the complex has evolved into a must-visit destination. Thanks to the vision of owner Roberto Dalton, the site encompasses a 700-acre coffee plantation, a luxury resort, restaurants, zip lines, eco touring, including bird watching, mule rides and mountain biking—and, of course, coffee tours! It is the perfect place to go for day trips or extended stays, for families, foodies and adventurers alike. The coffee tour was fascinating. I doubt I will ever look at a bag of coffee quite the same way again, and I certainly won’t be complaining about the price. 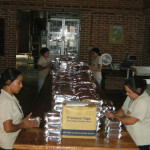 I was amazed to learn how many necessary steps and skilled hands it takes to produce one bag of quality coffee beans. Our guide Esteban walked us through the process, from beginning to delicious end. 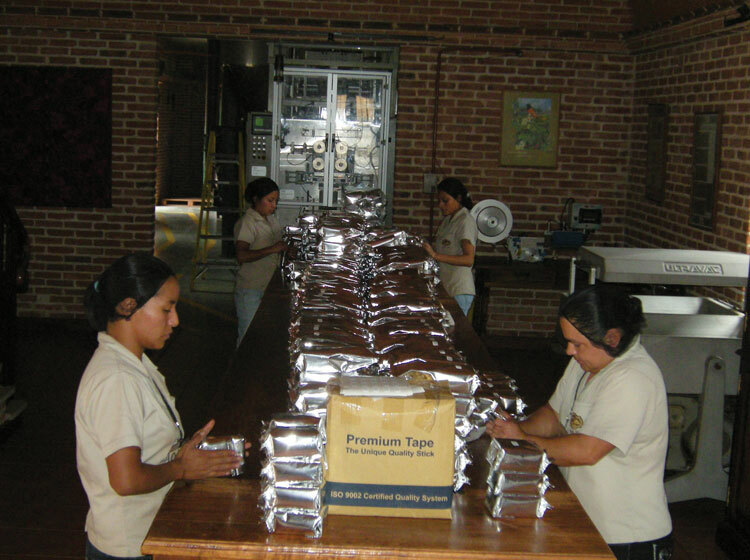 The finca uses no pesticides and produces some of the world’s best organic coffee. Every single bean is picked by hand, and this coffee lover has a new appreciation for her favorite treat. 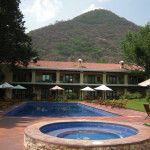 Handed down by Dalton’s ancestors, the Finca Filadelfia has recently added a luxury 20-room boutique hotel that features beautifully decorated rooms with vaulted-ceilings, automatic black-out shades, wood-burning fireplaces and pampers guest with Egyptian and Italian linens and fluffy robes. Imagine all that plus a morning spent relaxing with a cup of freshly ground coffee out on your patio, surrounded by gardens, overlooking the outdoor pool and Jacuzzi. 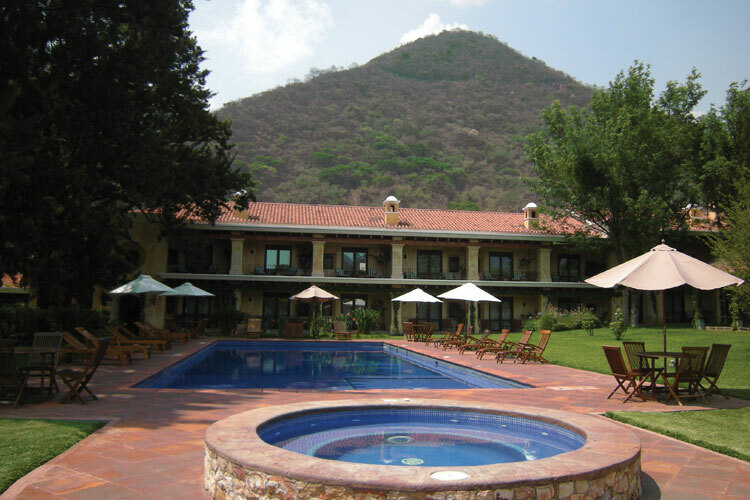 Great for a romantic getaway, the resort is also perfect for family adventures, corporate retreats and large events. Group discounts are available, and the hotel is currently offering special-package pricing. “We love to help people organize their wedding party,” says hotel manager Carmen Córdova, “and, we can accommodate over 1,500 people for events.” From airport pickup to babysitters and wedding photographers, Carmen can help you to plan and organize the perfect party. 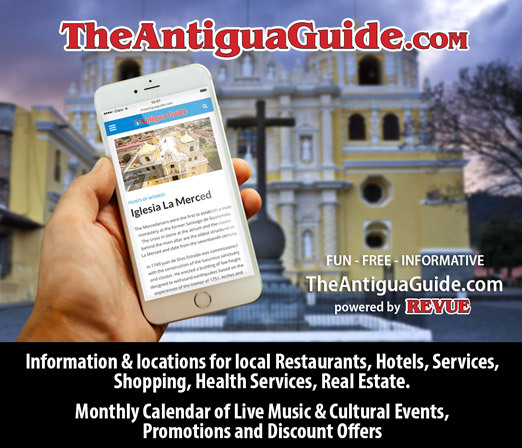 Offering fine dining, casual meals and fantastic catering, Chef Mario Miralles, who has cooked for Bill Gates and Arabian princes, is adding his signature style to Antigua’s food scene. La Pérgola de la Montaña is the finca’s most recent restaurant. Located high up on one of the property’s mountains and only open Sundays, it is a fabulous place to go for brunch. Leave your car at the base and catch a free shuttle to one of the best views around. 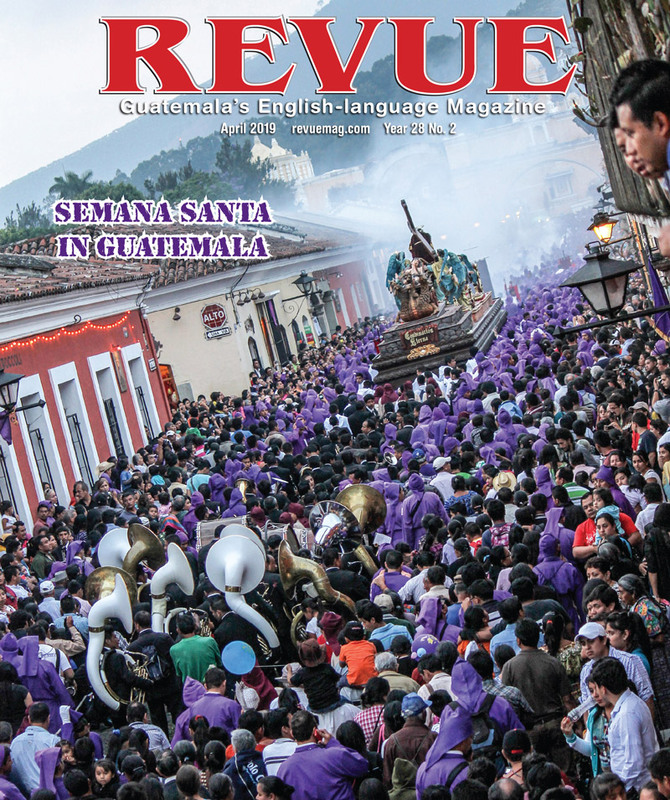 Another option is the Cafetenengo, which features traditional Guatemala fare. Last but not least, Chef Mario has combined his creativity and experience and designed an exciting new menu at Pergaminos. With his focus on using quality Guatemalan ingredients, French techniques and Thai finishes, the food alone is worth making a trip to the Filadelfia Coffee Resort. Thanks Tanya, It looks like Filadelfia is becoming a major destination. 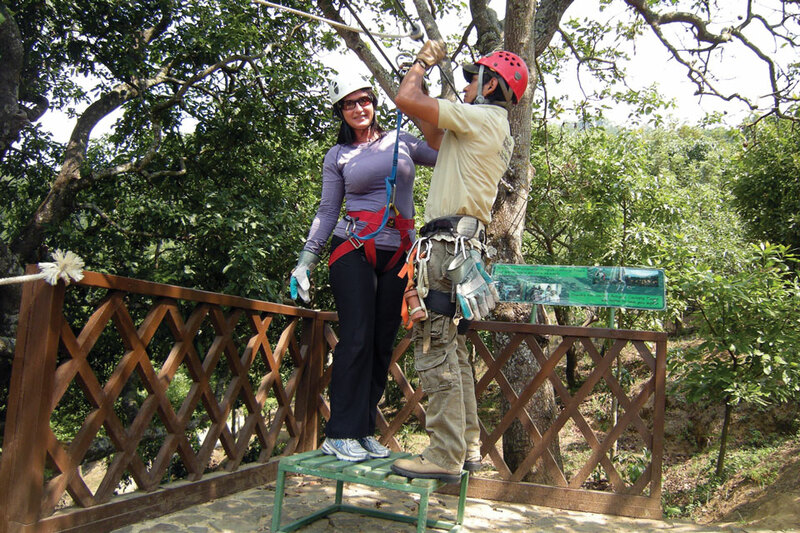 One of its highlights, Antigua Canopy Tours offers safety and fun for all ages. It is a registered member of ACCT (Association for Challenge Course Technology) as well as member os the Guatemalan Canopy Association and performs checking programs periodically in order to keep being the most visited zip line Park in Guatemala. So glad that you liked the article … what an impressive place, it certainly should be a major destination! Are there ever special hotel package prices? Please , come over for a closer look, just phone me up. Thank you for this article. I visited the plantation recently and was able to eat at the restaurant, take the coffee tour, and zipline. It was a full day, and I really enjoyed myself. I was most impressed with the hospitality of the highly knowledgeable staff. You mentioned in your article that the coffee is organic and the plantation uses no pesticides. In my tour, I learned that there is an organic crop, where the land is well cared and standards are withheld, but this is not the main crop where most of the coffee is produced. My guide told our group that the majority of the plants are genetically modified to keep out a particular worm that grows in the fertile volcanic soil. Also, I asked if pesticides are used in these crops, and the answer was yes. However, it was not clear if the pesticides used are more natural verses chemical. As someone who believes in supporting organic farming and is not in favor of genetically modified plants or chemical pesticides due to its detrimental effect on our environment and health, I felt it was important to highlight this detail.